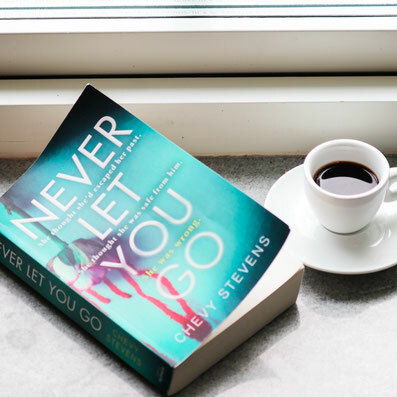 Never let you go by Chevy Stevens - Website of saraonnebo! NEVER LET YOU GO by Chevy Stevens. Great story, great characters and plenty of unexpected twists. A great read for anyone who loves suspense and psychological thrillers! She thought she'd escaped him forever. But will he ever let her go? Eleven years ago, Lindsey Nash fled into the night with her young daughter, leaving an abusive relationship behind. Her ex-husband ended up in jail and Lindsey started a new life. Now, Lindsey is older, wiser and believes she has cut all ties with the past. But when Andrew is released from prison, strange things start happening. Lindsey's new boyfriend is threatened, her home invaded and her daughter followed. Her ex-husband denies all knowledge, but Lindsey is convinced he's responsible. Because, after all, who else could it be...?